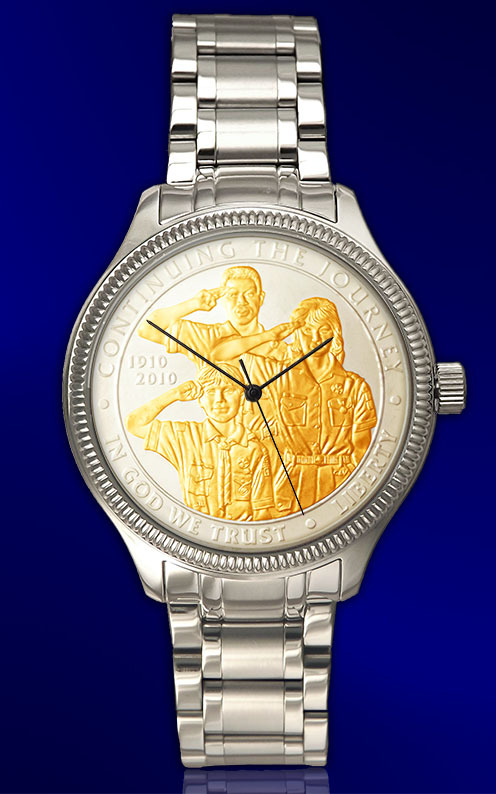 Boy Scouts of America Commemorative Silver Dollar Coin Watch, the dial is an uncirculated Boy Scouts of America Commemorative Silver Dollar. 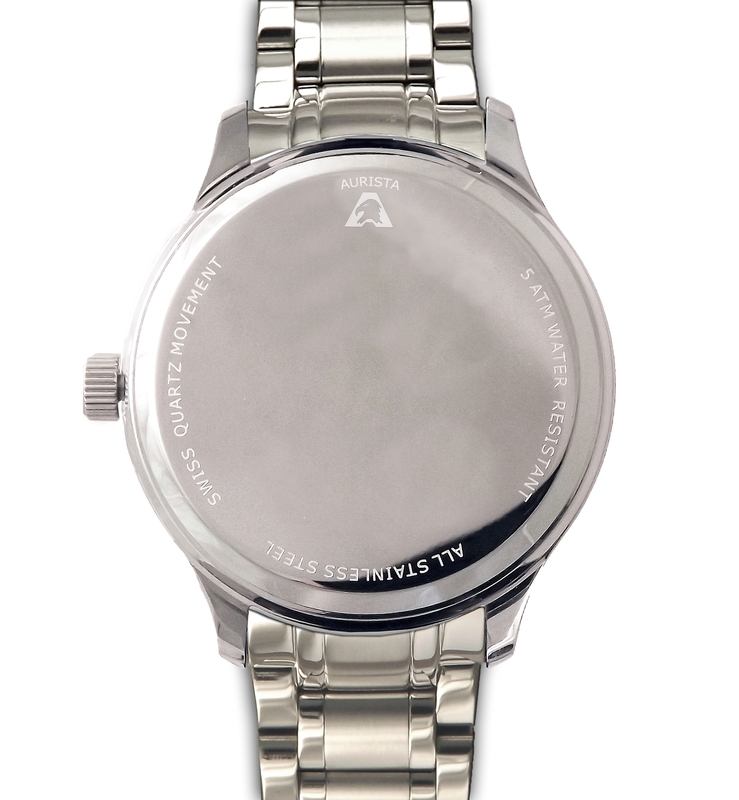 Swiss movement, Stainless steel case and luxury bracelet. Honor and celebrate the centennial of the Boy Scouts of America with this Commemorative Silver Dollar men's watch. The dial is painstakingly crafted from an uncirculated 2010 US Mint issued 90% pure Silver Dollar then highlighted in pure 24KT gold. Released only in 2010 by the US Mint after passage of special legislation calling for its creation, the 90% pure silver coin features a design approved by the Boy Scouts of America and the U.S. Treasury Dept. The 38.1mm diameter Boy Scouts of America Silver Dollar is larger than most other coins available in coin watches. With over 25 years experience, we're proud to be one of only a handful worldwide with the skills required to make this coin watch. A genuine Swiss quartz movement powers each coin watch, which is secured within a stylish stainless steel case and luxury bracelet with butterfly clasp. Each includes a lifetime limited warranty and is accompanied by a uniquely numbered signet and certificate of authenticity.